We need to eat ALL TYPES OF FOOD so that our body gets the nutrients and minerals it needs to function properly. The reason why most diets are doomed to fail is that they want to mess with the food triangle. One says to cut out all carbs. Another diets wants you to stuff yourself with meat. Another diet says go green. Yet another diet wants you to live like a baby and juice everything. Our bodies are so confused, no wonder it’s retaliated on us in the worst possible way…by delivering fatty deposits throughout our our belly and thighs. So my general advice to you for long term weight loss and health? 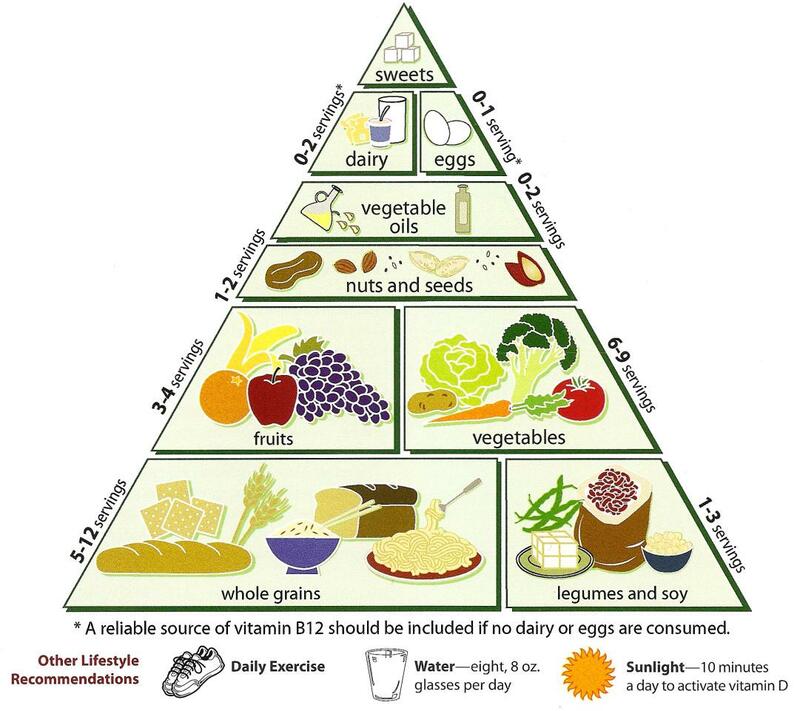 Follow the food triangle and eat all types of food in the recommended proportions. Having said that, there ARE specific food to eat to lose belly fat. These are food that burning calories, suppress your hunger, and even help you get a good night sleep at the same time. 1) Whole Eggs – You might not expect eggs to be on this list but they are an excellent source of protein. They have a very impressive amino acid profile, and they offer good fats. As an added bonus, eggs will not only help with fat loss, but they also help you build muscle. That makes it a two-for-one deal where you lose fat AND increase metabolism as well. . According to lead author Heather Leidy, Ph.D., eating a protein-packed breakfast stimulates the secretion of a powerful gut hormone called Peptide YY, which makes you feel full for hours on end. So for optimum effectiveness, be sure to include eggs on your breakfast menu. 2) Green Tea – Green tea has a long history of healthful benefits and its qualities are significantly more effective than black tea. Green tea includes antioxidants similar to that found in red wine, but more powerful in lowering cholesterol and negating the effects of a fatty diet. Green tea is also found to raise metabolism, increasing the rate at which calories are burned, and in addition, also helps the body use fat as an energy source instead of protein. Green tea is also reported to lower glucose, which in turn controls insulin levels. This means that a mug of green tea at the first sign of hunger can help curb your cravings. 3) Apples – They keep the doctors away and belly fat, too. Eating several apples a day is a great way to lose weight. The main reason is that the peel is rich in fiber and quite filling. According to Jaime Mass, RDN, LDN, pairing with lean protein or healthy fats like cheese, almond butter or nuts will also help stabilize your blood sugar and help you feel full for longer. 4) Dairy products – Calcium rich foods and drink such as low fat milk or yogurt can boost metabolism and help you sleep better. It has been found that women and girls who consume dairy products regularly tend to lose weight easily and have less body fat than those who do not. However, as a general rule, be careful when choosing “non-fat” products, because oftentimes, these have added sugar in them to make up for the taste lost by removing the fat. Besides, you need that little fat to fill you up. 5) Fish – We all know that fish oil is a powerful supplement. Besides boosting heart health, omega-3 found in fish helps regulate your nervous system and production of your sleep hormone, melatonin. Wild caught fish are full of healthy Omega-3’s as well as being high in protein. Try mackerel (Atlantic is best as it has less mercury), wild salmon, sardines, rainbow trout, or tuna. 6) Dark Leafy Greens – We all know we need to eat more vegetables, but when it comes to six pack abs Popeye was right. Dark leafy greens such as spinach, kale, and bok choy are perfect super food to lose belly fat. They are nutrient dense foods, a great source of vitamins and minerals, and have very few calories. Plus, they are more flavorful and filling than the paler greens. 7) Strawberries – You can eat all the strawberries you want and can never gain a pound. Strawberries, peaches, plums, and grapes come with cancer fighting carotenoids and appetite-suppressing fiber. Eating these types of fruits daily will help you lose weight fast. The reason for this Hard fruits like apples take time to chew and fill you up. 8) Beans – Beans, peas, chickpeas and lentils contain cholecystokinin, a digestive harmone that acts as a natural appetite suppressant. Beans also keep blood sugar on an even keel and helps stave off hunger longer. High-fiber bean varieties can even lower cholesterol levels. Canned beans are fine, just make sure to choose low-sodium or no-salt-added, and rinse off before eating to remove up to 40% of their sodium content. 9) Nuts – I know it’s surprising that nuts are on this list since they are know to be high in fat and calories. But nuts (including peanut butter, yum) help build muscle and reduces cravings. And according to a 2010 study published by the journal Magnesium Research, nuts are also a good source of magnesium, and eating more of it can help people with sleep problems doze peacefully through the night. 10) Dark Chocolate – I am so happy to be able to include this on my list. Like most women, I’m a chocoholic. I suffer terribly whenever I give it up for Lent. In general, we shouldn’t need to “deprive” ourselves of food that we love. We just need to learn to not over-indulge. However, eaten in moderation, dark chocolate (the darker the better), contains anti-oxidants and stimulants that improve insulin sensitivity, fight depression, increase energy, decrease your appetite, and help burn fat. Moderation is the key. But yes, you can happily include this in your belly buster arsenal. There are many more foods that didn’t make it on the list but are certainly just as effective belly busters such as avocados, soups, white potatoes, good oils, chia seeds, nori (seaweed), and lean meat. Overall, the key is to focus on healthy eating habits, keep your meals balanced, increase your diet of whole foods and reduce processed foods, and eat in moderation those foods that are higher up on the food pyramid. The Belly Melt Diet (TM): The 6-Week Plan to Harness Your Body’s Natural Rhythms to Lose Weight for Good!